What if the Roman Empire endured? Imagine if the Roman Empire hadn’t fallen, hadn’t split into two separate empires, and had carried on from its peak under Trajan. Using our calendar, for ease, it’s now 1930. The Empire is led by Emperor Georgius the Sixth, and is broken down into three areas. The first is the west, in what we call the United States. The second is Europe, with the Scandinavian counties, Caledonia, the Baltic and much of the Slavic countries still free. The third is the east, what we used to know as the Byzantine Empire, only expanded and which is a truly fractious area, especially on the border of China. 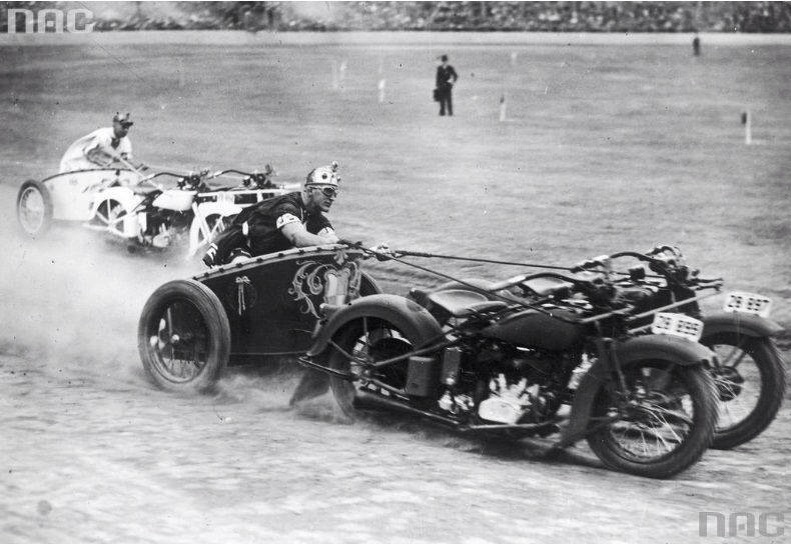 This just a quick idea off the top of my head, inspired by the motorbike charioteers. Hopefully it will get people thinking.